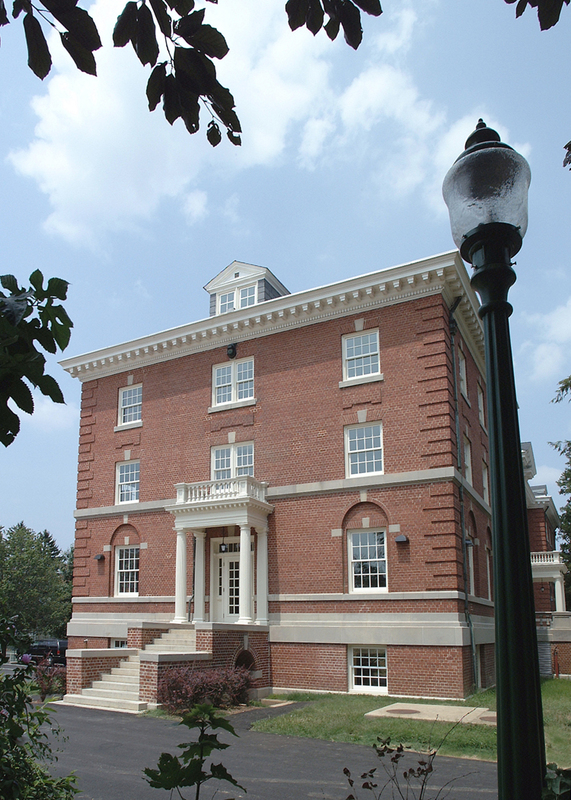 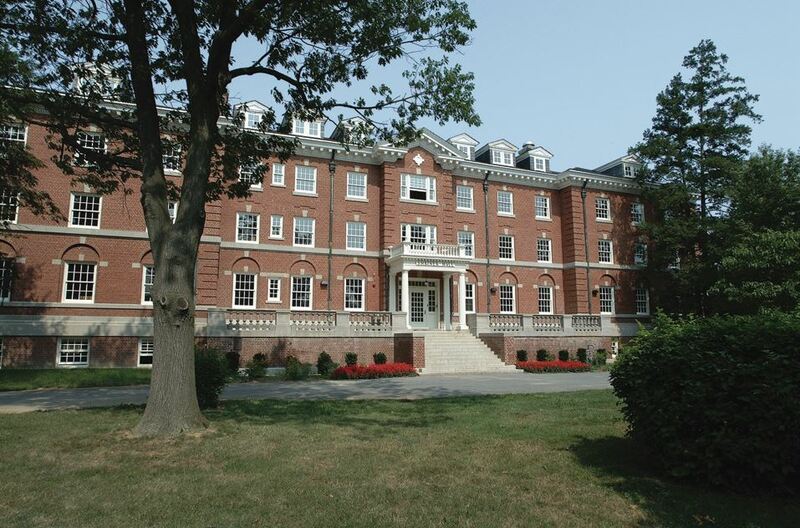 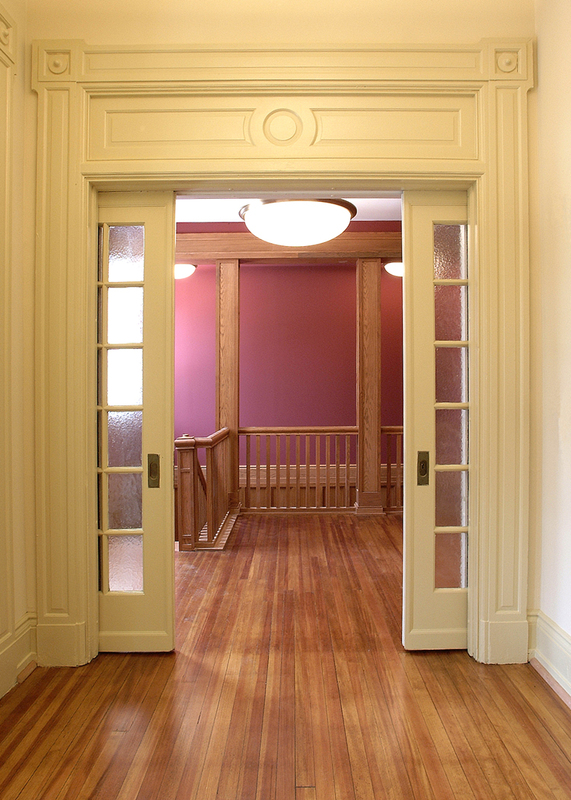 Renovation and targeted restoration of this 1913 Georgian Revival residence hall is intended to appeal to students (and parents) on many levels. 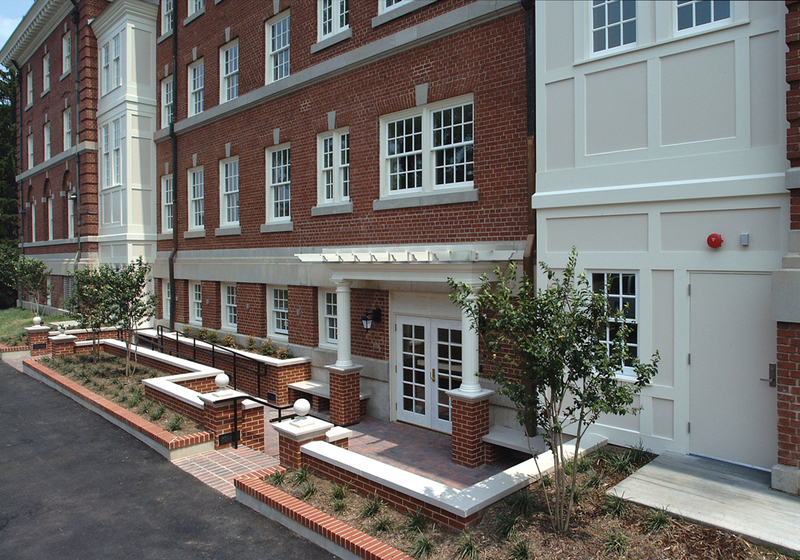 Exterior work entails extensive masonry restoration, new windows, slate roof repairs, and the creation of a second “front” door with an accessible landscaped entry plaza. 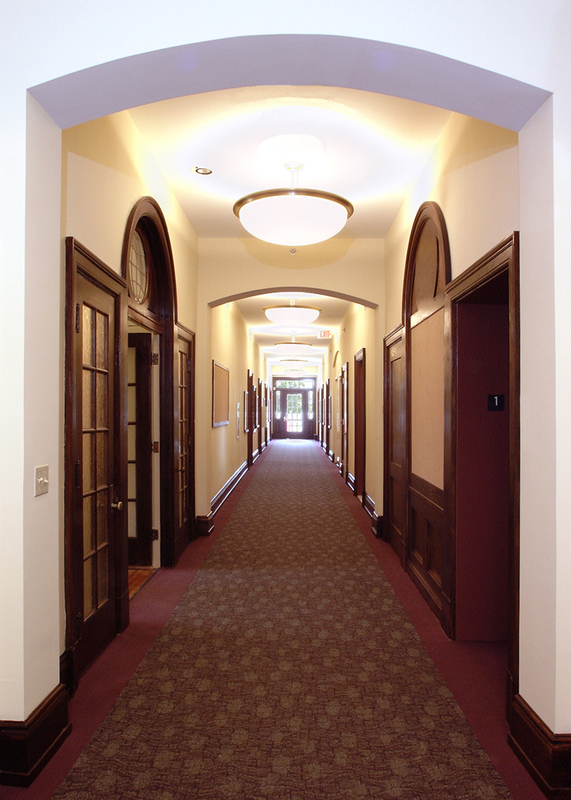 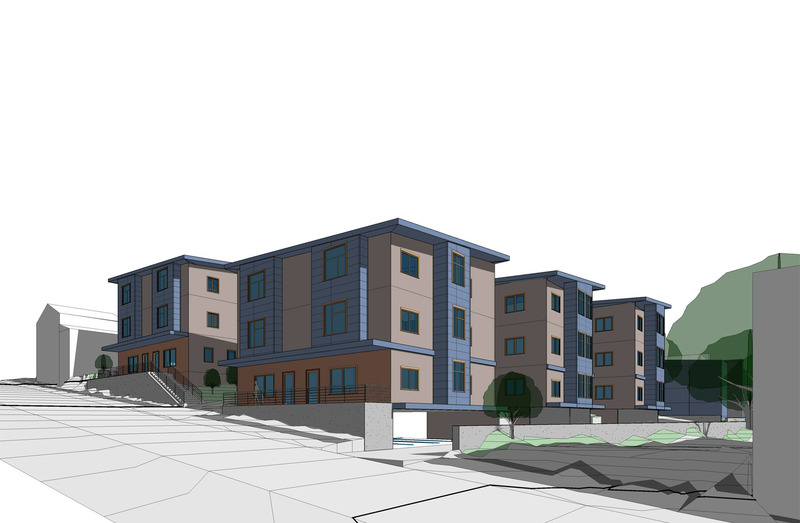 Interior work focuses on preserving the dorm’s character, provides increased amenities, expanded and improved social spaces, new bathrooms and new finishes. 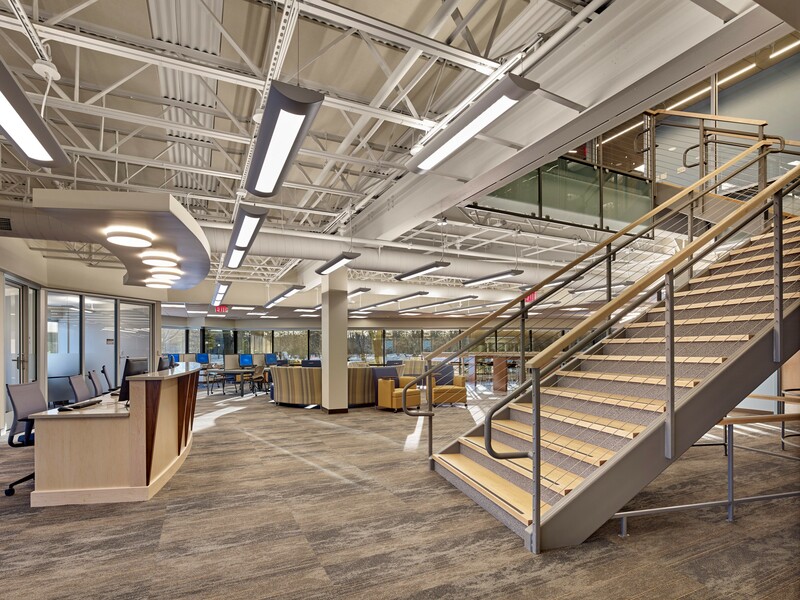 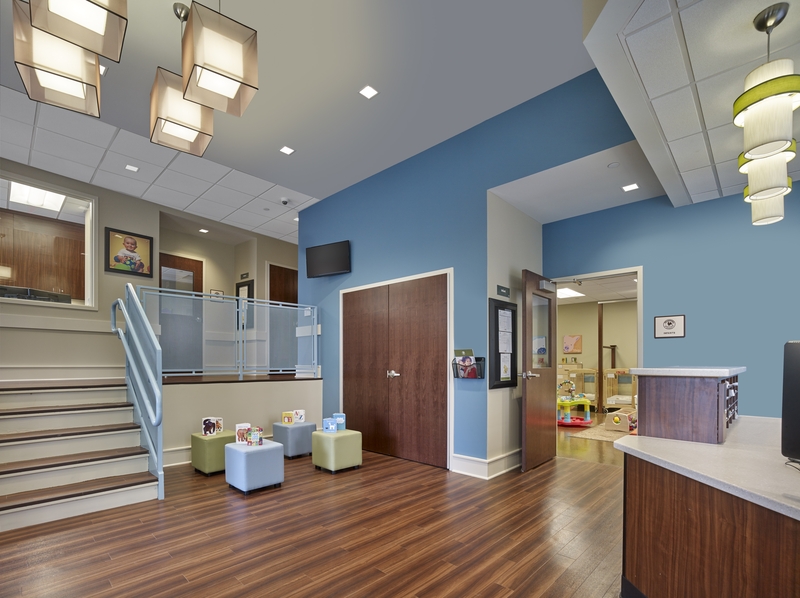 Less visible is the seamless integration of 100% new building systems and the insertion of an elevator providing accessibility to all five floors.